Business cards state information about a company or individual. 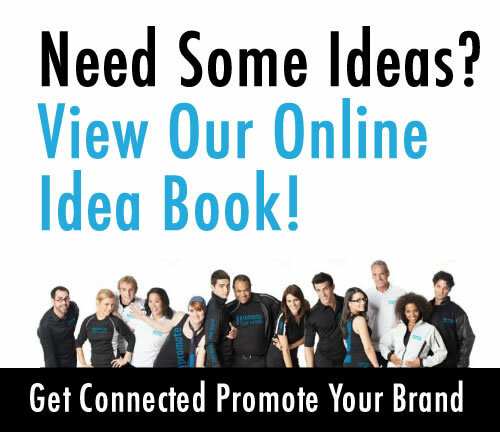 It’s a fast, easy and affordable way for you to promote and brand yourself professionally. Our most popular business cards are printed on high quality 14 pt cover stock, however, we also offer 16 pt cover stock, 24 pt cover stock, as well as linen and 100% recycled paper stock. Choose from a host of finishes including: Gloss AQ (Aqueous Coating), Matte AQ, UV coating or even matte or gloss lamination. We can even diecut your business card to any custom shape. Embossing is also available to make your business cards stand out. Silk Lamination Business Cards: Silky smooth to the touch with a matte appearance, Silk Cards are laminated on both sides giving these cards an attractive look and feel, while further making them water and tear resistant. These long-lasting 16PT cards are a surefire way for your customers to bring sophistication to their image and to stand out from the crowd. Silk Cards are printed in full color and can be further enhanced with foiling or spot gloss finishes. Feel the difference with Suede Cards — soft to the touch, they offer a hint of luxury to brands and create marketing pieces that stand out from the competition. Suede Cards are printed on 16pt card stock, then they are laminated on both sides with a scuff resistant, soft velvet laminate, which give them a memorable feel. Overall thickness is 18.5pt! The cards have the actual feel of Velvet fabric. 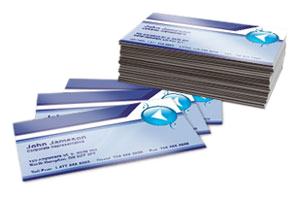 High Gloss Luster Business Cards: Upgrade your product line with brilliant Luster Cards with high gloss lamination. Allow your business cards and announcement cards to make a lasting impression with extra durable, water resistant, glossy Luster Cards. Luster Cards are printed with high quality offset equipment on 16pt card stock and then they are laminated with an optically clear 3mil gloss laminate on both sides, making the cards a colossal “22pt” thick. Natural Uncoated Business Cards: 14pt Natural stock is a light cream, natural white color with a smooth finish. Pearl Business Cards: Our 14pt Metallic Pearl paper is a unique stock that shimmers in light when viewed from different angles. The stock itself is embedded with Pearl fibers that give the paper an overall smooth, metallic look. Printing on this stock will give your CMYK colours a subtle shimmer, however heavy ink densities or coverage may diminish the effect. Add some Foil to your Business Cards: Bring extra flair and shine to your business! Choose from either gold , silver or copper foil accents for business cards and have them printed on 14pt uncoated or 16pt silk laminated stock. The combination of foil with either finish are a surefire way to make a statement. Please note that the same color foil must be used for the front and back of your product.